This post is sponsored by Travelers Insurance. All Opinions are my own. Moving is the WORST right? I mean who LIKES to move? 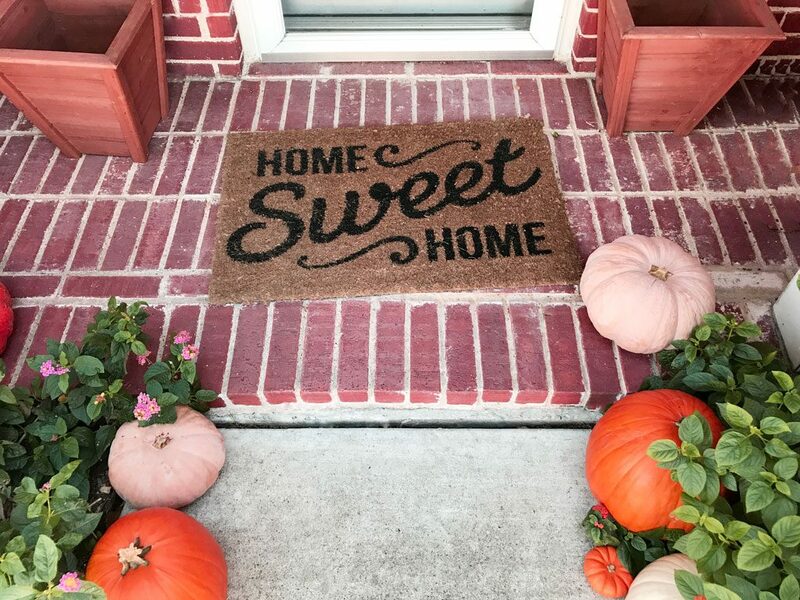 Well I am here to say I love a good fresh start and clean slate but when we bought our first home 2.5 years ago and moved into our house we made some mistakes. 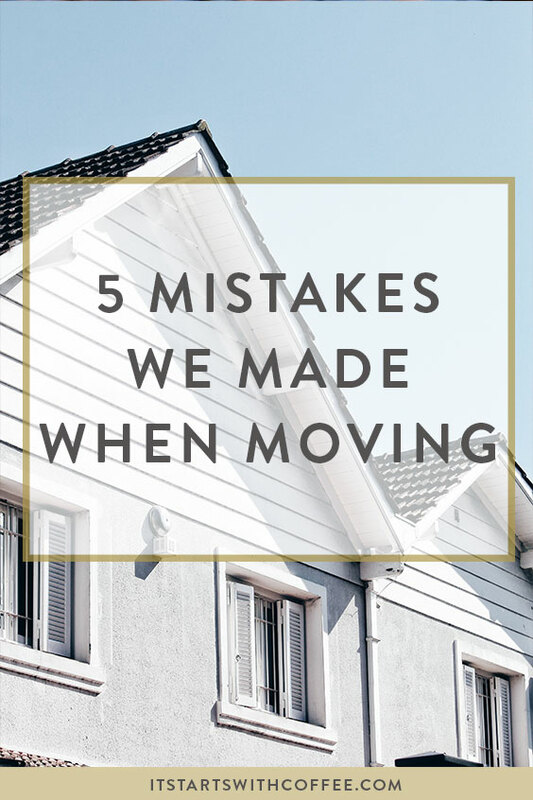 As part of this new partnership with Travelers Insurance, I want to share with you the 5 mistakes we made when moving in the past. We weren’t organized enough: We were supposed to close on our house in early March but it got pushed a little so you would have thought we were SUPER organized. Well Andrew had a work trip the week before we moved so I ended up doing a majority of packing and dealing with house stuff myself that week. Workers in and out everyday, packing, moving stuff over, picking things up, etc. I felt so disorganized and literally like a chicken with my head cut off. 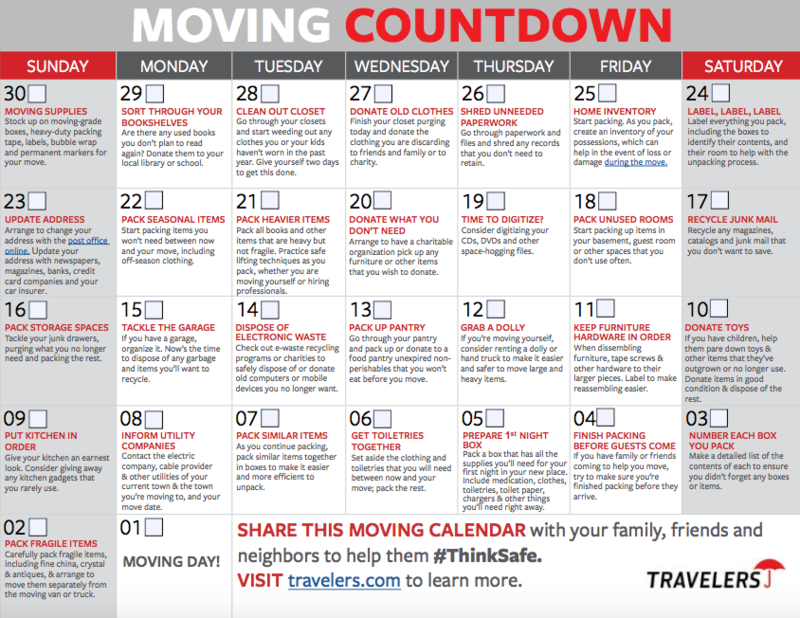 Travelers Insurance recently showed me this great 30 day moving countdown calendar. which I wish I had back then. It lays it out for you in 30 days so that you can really breathe and feel like you have it together. It goes into labels, donating items, taking inventory, updating your address, what you should pack when, and so much more. This is the IDEAL for not only first time home buyers but ANYONE moving anywhere. This is exactly what we will use for every single move in the future! We tried to do too much ourselves: I remember Andrew telling me he could paint the entire house himself. Cut to about 2 hours into painting when he admitted he bit off more than he could chew. Thank god we had a great painter that got our entire downstairs done in just a few days. We also recruited my mom the day of moving to help us unpack, my dad to help with our yard, and my mom again to help stain our front porch swing. Ask for help! We tried to do too much too soon: Remember you do NOT have to have your entire house furnished and unpacked the day you move in. While we did wait quite a while to completely furnish our house in fact it took us the entire 2.5 years we’ve lived here to feel settled furniture wise, I did feel like I needed everything unpacked and put away on day 1. Well the day we moved I came down with a nasty cold. I was in such panic trying to unpack and oh yeah it was pouring down rain. Let’s just say I learned quickly that it’s OK if it takes a few days or weeks. We didn’t take into account unforeseen costs: You’ve heard the term money pit right? Well that’s kind of what buying your first house is like. The weekend we moved in the dishwasher broke. A month later the backdoor flooded, not to mention buying new toilets(expensive), painting, and random repairs. It adds up very quickly. When you are planning a move take this into account and set aside an emergency fund for those unforeseen costs. They will happen! We ALMOST bought the first house we loved: I will keep this one short but do not buy the first house you look at. The first house we looked at we fell in love with. It was exactly what we wanted, updated, 4 bedrooms, etc. Well it was the top of our budget and a completely different area of town than we ended up moving to. I am so glad we both snapped out of it and realized we should look at a few more. We looked at over 25 houses and even went under contract on another one that fell through due to foundation issues. It happens! Travelers Insurance has TONS of great free resources for anyone moving, whether it’s your first home or your 5th. There is something for everyone and tons of helpful info! Make sure to check it out! What is one mistake you made when moving? I’m actually moving in the next month or so, so this blog post came at the right now. Thanks for the head’s up, I’ll keep what you said in mind. This is a great post!!! Wish I had had this post when I moved! Yeah, a bunch of stuff went “wrong” after we moved into our house, too. Thankfully we had some money in our savings, but we would have been in big trouble if we didn’t! I am so glad we didn’t buy the first house we loved! Would have been a total mistake. Now, we love the one we are in! Moving can be extremely stressful. I really like this countdown planner. Great way to be organised. I would like add checking on the weather before moving day is important. We were lucky to move in December and thankfully it was the sunniest and warmest day of the week. I always tell anyone buying a house to have the wiring fully inspected. We had a house inspection but did not have the wiring inspected fully. Huge mistake that cost us a ton of time and money! Great post! After moving 6 times over the last 7 years, we’ve learned quite a few things and taking into account those unforeseen costs that come with any home purchase is SO important! You never know what might happen two weeks into your move that you’ll need to replace, so it’s good to have an emergency fund. Thanks for the great tips! We have no plans to move just yet, but I’m saving this for when we do! OMG I hate moving. We consider ourselves organized enough but packing and labeling then unpacking tested our limits! When we moved into this condo we must have looked at 30 places too! We’re looking to move again now and we definitely will have a better organization system this time around (i.e. don’t put jeans with the coffee maker just because it fits nicely into the box – true story LOL). The unforeseen costs are always what get me. Forgetting this or that random cost (like the extra cleaning supplies or other supplies along those lines) are what always get me! These are all great things to keep in mind. I’m loving that calendar – how handy! I just moved into an apartment and my. Biggest mistake was rushing to unpack and have everything settled too. Idk why I couldn’t just be patient. Great post! I have a friend who is prepping for her move in with her soon-to-be husband and I sent this post over to her. The checklist alone is pure gold, and I’m mad I didn’t have something like it when I moved into my place almost 4 years ago. We just moved this past July and I think we too tried to do too much too soon. It was such a chore, especially with 7 kids. I really hope we don’t have to move again for a long time! One thing I would add, and the one thing we dd not prepare for: Homesickness. We moved from Denver, Colorado to Salt Lake City, Utah. We planned for and were ready for the move in every other respect. My husband had been in the old house over 30 years and me 20. The sense of displacement and sadness can be overwhelming at times. While we love our new house and SLC is a great city, it is going to take some time for it to feel like home. We miss our friends and have lost our community “security blanket”. (We have no family or friends here). I know it will all work out and we’ll develop a new community and friends, but it’s hard right now. (we’ve been here 2 months). Our new neighbors are sweet as pie and that helps a lot. 🙂 Just something to be aware when moving, especially out of state to a new place. BIG MISTAKE: We failed to supervise the packers from the moving company, although my husband did insist he remain on site. The packers preferred to work alone. They jammed baking sheets in the same boxes as my silver trays, part of our wedding silver as well as family heirlooms. That’s just one of dozens of examples. We had been told, you see, that if we packed ourselves, the company could not be held liable for any damages. There were plenty of damages, and we had to file claims galore. Moreover, the packers had stacked and piled all the boxes in the dining room, not labeling them until just before loading; thus, these boxes were labeled “dining room.” Consequently, in our new house, that dining room was jammed with all theses boxes were filled with our clothing mixed in with everything else. Another point I would add is to unpack the bedroom FIRST, make up your bed, lay out nighties and pj’s, so it’ll be waiting for you at the end of a tiring day.